This year was Emma Lazerson’s (‘19) Annie Brandon’s (‘19) second year playing the game. 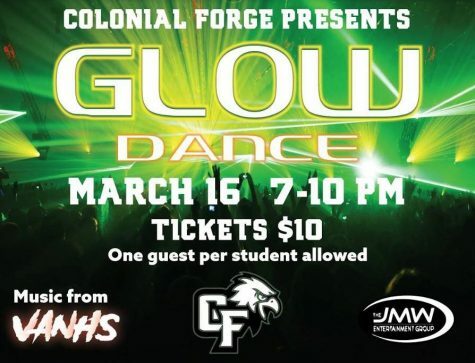 “I love spending time with my friends and being a part of something that other schools wish they were a part of, it’s a Forge tradition,” Lazerson said. There are benefits with being a player, such as the possibility of winning money and gaining new memories of high school with their friends. One additional perk of playing is being able to come with a unique name for your group. Some groups this year are Lil Uzi Squirt, Water Babies, and Squirto Mode. “One of my teammates said a random name and I thought it was a complete joke, but it just stuck, so now it’s our team name,” Lazerson said. Players have to be careful to protect their location, because people can easily learn it quickly. Brandon did not expect it would be that easy. “People can find out where you live and what you do easier then you may think,” Brandon said. Forge Assassin makes for a lot of good stories. When a player is in public, they never know when their target could attempt to eliminate them. Forge Assassin has been a game that is completely separated from Colonial Forge, but it is associated with the students that are juniors and seniors. The game began in 2015 and it is made up of a combination of players and game masters. To be able to play the game, each player must team up with two other people and pay 5 dollars. The players have the opportunity to place in first, second, or third place. The winnings are split up with first place getting 50%, second place collecting 20%, and third place receiving 10%. Lastly, both of the game masters choose a charity of their choice and each of those charities get 10% of the winning pot. This year, both game masters chose the same charity, which is the Wounded Warrior Project. The game begins with each player receiving a player to target. The one exception to the rule is there are safe zones like Colonial Forge, Forge events, their workplace, and while operating vehicles. To eliminate a player, they have to shoot them with water. Originally, the way you could show the “the kill’ is with a video or photo, but now the rule is that there has to be video evidence. There is no specific amount of rounds, and the game continues until there is only one group standing. The whole game is controlled by two game masters. The game masters are chosen by the game masters from the previous year. Their role in the game is very important. The game masters set rules, determine if the “kills” classify as kills, assign the teams, and have the final say in all of the cases. This year, the game masters are Steven Dean (‘19) and Anthony Merida (‘19). They were selected by previous game masters Matt Stocks (‘18) and Bryant Ricks (‘18). The most important aspect of the game masters’ duties is to randomly assign each teams’ targets. While the idea of being a player seems interesting. Dean and Merida both love the control of deciding the targets of each player. “My favorite part is definitely knowing who has who and having the knowledge that the teams don’t know about who is trying to get them,” Merida said. While in charge of the game, both game masters would love to be able to see what it is like to be a standard player. The rules this year have been changed from last year, and it has been entertaining for the game masters to pick the targets. Another time this year, at the Forge vs. North basketball game, a group of players decided to all go after their targets at the same time, creating a mob. Cooper Crowell (‘19) was at this event and was targeting another team. “We didn’t realize that everyone had the exact same idea, so once the game let out it was like a total bloodbath with half of the people playing assassin chasing their targets around in the North parking lot,” Crowell said. Being a player can make you do some crazy things especially when it comes to getting your target. Corinne Beadle (‘19), who is a member of this year’s winning team, Joot, hid in crazy places with her team to get their targets. “We had to hide in a bunch of weird places, like in bushes and underneath cars, I almost got ran over,” Beadle said. Another member of Joot, Josh Nelson (‘19), really wanted to win assassin to make his senior year even more enjoyable.